The Wind in the Willows features the adventures of woodland residents Mole, Ratty, and Badger as they rescue their friend Toad from escapades with coach-houses, motor-cars, and washer-women, finally helping him vanquish the stoats and weasels who have captured Toad Hall. A. A. Milne, the author of Winnie-the-Pooh, appraised the book in this way: "One does not argue about The Wind in the Willows. The young man gives it to the girl with whom he is in love, and, if she does not like it, asks her to return his letters. The older man tries it on his nephew, and alters his will accordingly. The book is a test of character. We can't criticize it, because it is criticizing us. But I must give you one word of warning. When you sit down to it, don't be so ridiculous as to suppose that you are sitting in judgment on my taste, or on the art of Kenneth Grahame. You are merely sitting in judgment on yourself. You may be worthy: I don't know, But it is you who are on trial." 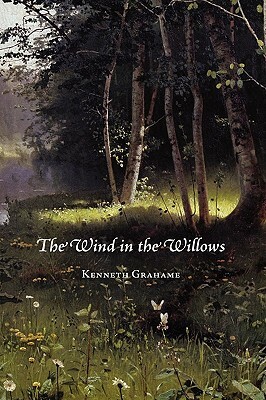 Since its beginning as a series of stories told to Kenneth Grahame's young son, the Wind in the Willows has become one of the best-loved children's books of all time. Newly designed and typeset in a 6-by-9-inch format by Waking Lion Press.